On July 5th Chicago’s own OddLot Entertainment successfully released the film The Way Way Back. The film stars Steve Carell, AnnaSophia Robb and Sam Rockwell, and has been receiving rave reviews, with the Los Angeles Times describing it as “one of the summer’s pure pleasures.” The film also features Zoe Levin, daughter of firm partner Ira Levin. 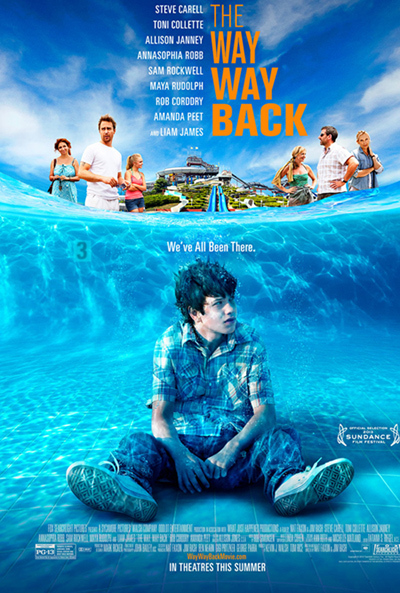 This critically acclaimed film centers around a 14-year-old boy’s search for his place in the world which he finds with the help of a special place called Water Wizz water park. This is not the first success for OddLot Entertainment. The company has a number of other successful productions, including the movie Drive with Ryan Gosling as well as Chicago’s longest running musical, Million Dollar Quartet, which was released through its sister company Relevant Theatricals. It is presently working on the release of the expected fall blockbuster, Enders Game, starring Harrison Ford. Congratulations to Oddlot Entertainment from the firm’s Karen K. MacKay, Martin P. Ryan and Patrick J. Bruks.